At the end of 2012 I started to get my health on track, running three times per week, discovering smoothies, juices and super foods such as Chia seeds and generally contributing to feeling a lot healthier . Then in January Dan had a minor operation, that turned into a major pain! He was told it would take just three weeks off work to recover, but unfortunately he didn't recover as quickly as we had all hoped and ended up with months off of work and I ended up taking over his care. It's nothing major, don't worry, but I had to learn to dress his wound due to nurses not being able to come out to us because of the snow and I wasn't at all ready to do it. Dan is still healing now and I think that the stress of the whole thing became the reason my IBS decided to take over my body, resulting in me becoming quite ill and dropping a lot of weight very quickly. I got so bad that I would barely eat one meal a day, I would cry at the thought of eating any food because of how ill it made me feel and exercise just left me so exhausted each time I tried that I decided I couldn't do it anymore and just gave up. It wasn't until around September last year that I started to eat again, and I'm still not eating the way that I should, in fact I've gone the opposite way now and eat far too much some days because I'm finally able to eat some of the foods that I missed. All this being said, now that my health is far better, I want to get my body back on track, as much as possible. In order to help kick start my healthy new ways I bought a few things from poundland, yes, poundland, to help motivate me! 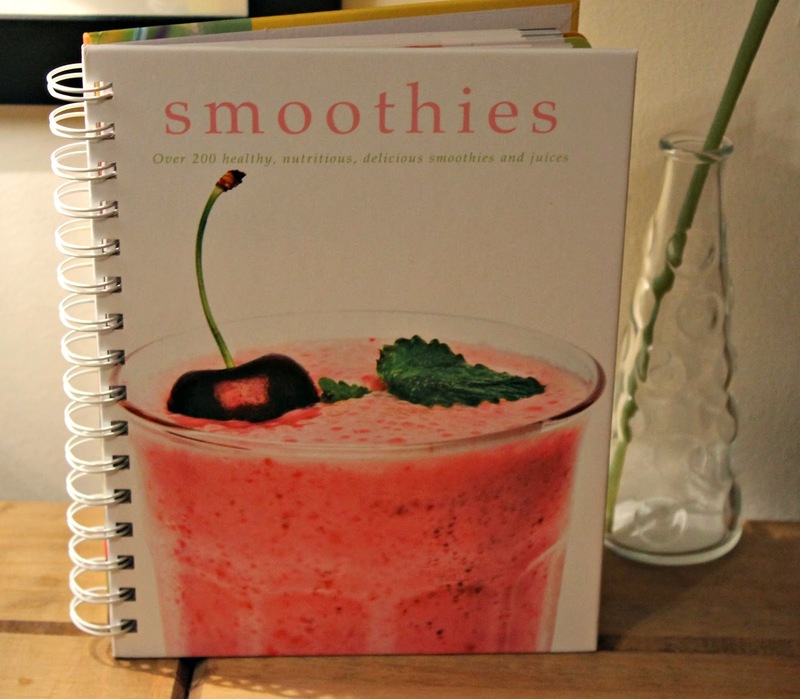 This smoothie book is perfect for the beginner, or for those, like me, who already loves smoothies, but lacs in imagination when it comes to ingredients. The book starts of with basics, such as what a smoothie is, how it will benefit your body and nutritional information. It then 5 fruit sections - apples, bananas, berries, strawberries and tropical & citrus each including smoothie recipes based on that fruit. It also includes a vegetable section, a juice section and an index, of course. Each recipe includes the ingredients, serving number and method, it couldn't be simpler! I liked the idea of this DVD because with Pilates you don't need any equipment, it's gentler on the body but gives great results. This DVD starts with a warm up, follows with 4 workout sections and ends with cool down, just like if you were to go to a class at your local sports centre. 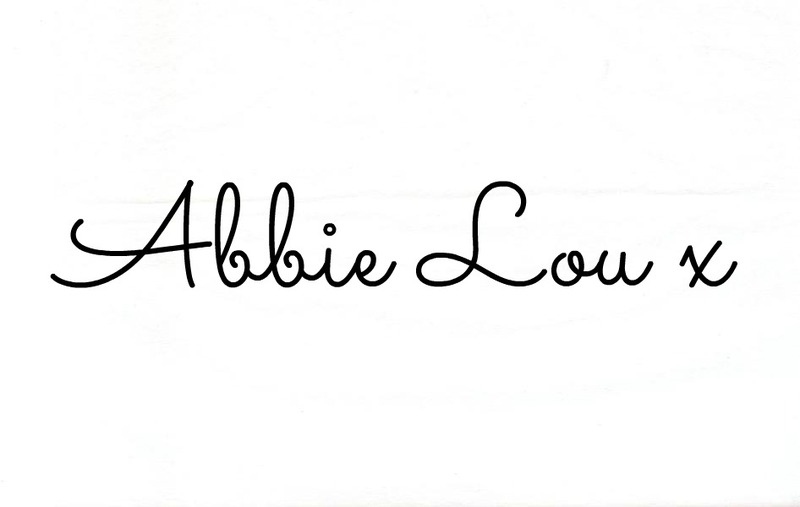 The four workout sections are Sculpt and Tone focusing on abdominal muscles; Strengthen Up focusing on back and core muscles; The Perfect Pilates Bum focusing on the bum and surrounding areas; and Total combo focusing on raising your heart rate by building on the moves for the first three sections. These four sections aim to work your body parts in different ways but the combination will give you 'the perfect pilates bum'. Poundland had a variety of these books so it's worth keeping an eye out for others. This book includes an introduction, a variety of stretches for different parts of the body, each lasting 6 minutes - Thighs, Bottom, Calves & Ankles, Stomach & Waist, Arms Shoulders & Chest, Back & Neck; It also includes a two-week plan to give your body the best possible benefit. 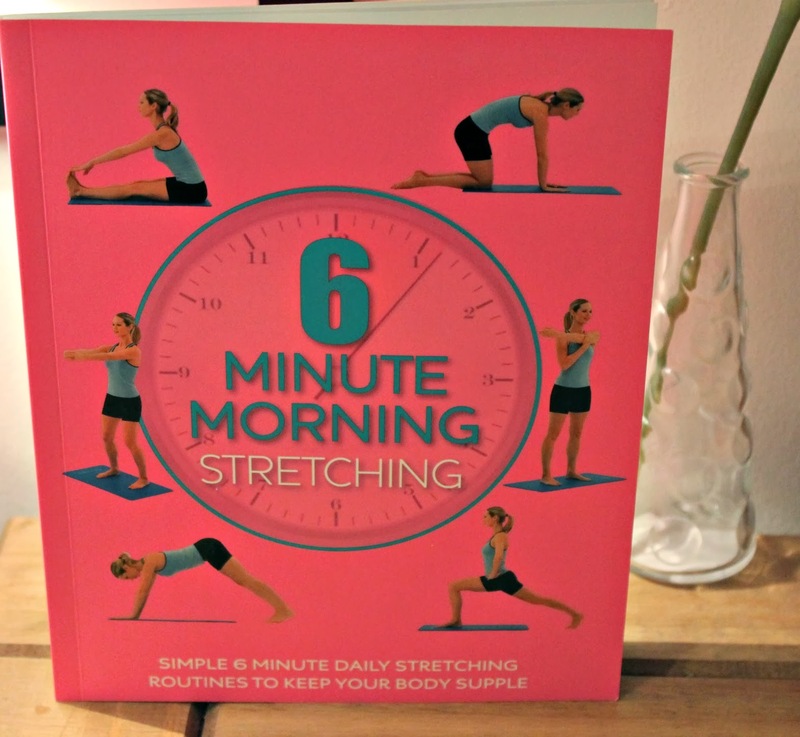 I liked the look of this book because I think stretching is just as important for your body as exercising. I'm not looking to lose any weight but rather become more toned and stretching can help with this. With each stretch lasting just six minutes, I'm also more likely to incorporate them into my day as it's easy to fit in, doesn't require any equipment and doesn't work up a sweat, resulting in me needing to wash my hair everyday before work, have you seen my hair?! I feel more positive about getting my body back on track this year, being healthier, more active and more toned is my mission. I may have to nip back to Poundland to see what other books and DVD's they have left too. Do you have any health related New Years resolutions?